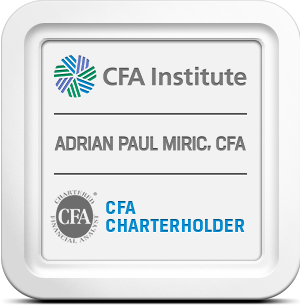 Adrian Miric is a qualified Chartered Accountant with a CFA (Certified Financial Analyst). He completed his articles with KPMG where he spent time in the corporate finance and computer audit departments. He has established his own consultancy focusing on the inherent risks of spreadsheets in the decision making process. He distributes Spreadsheet Professional software and has developed the AssumeIT sensitivity tool. He has assisted a variety of clients with the development of complex decision models. He also assists clients in reviewing their spreadsheet models including providing spreadsheet audits.